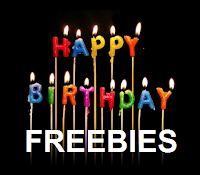 FREE IS MY LIFE: 6 FREE Halloween Events in Metro Detroit and 1 Great Giveaway - SPOOKY GOOD! 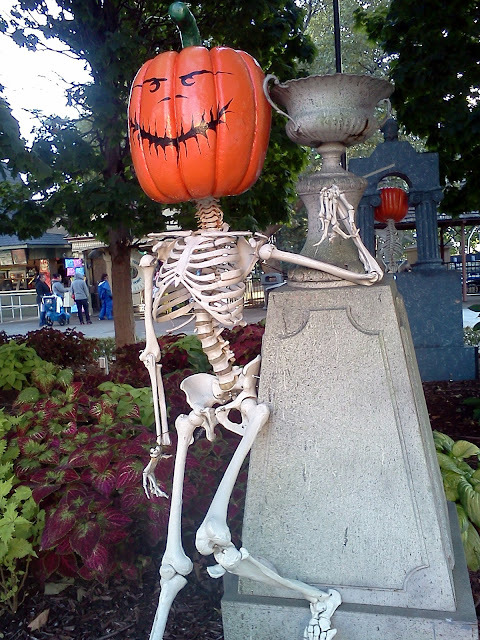 6 FREE Halloween Events in Metro Detroit and 1 Great Giveaway - SPOOKY GOOD! Halloween seems to be getting bigger and more grand each year. 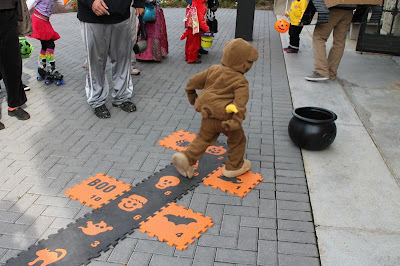 But you don't have to spend tons of money on Halloween when you can attend these FREE events in and around Metro Detroit and beyond... and even a great Halloween giveaway. 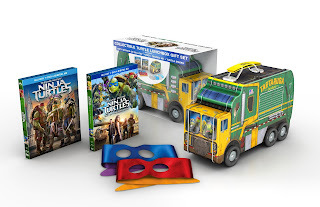 One (1) FREEISMYLIFE reader will WIN a Teenage Mutant Ninja Turtles Gift Set, which includes TMNT films- Teenage Mutant Ninja Turtles Blu-ray Combo Pack and Teenage Mutant Ninja Turtles: Out of the Shadows Blu-ray Combo Pack, a collectable lunch box, and two double sided ninja masks - HOLLA!!! 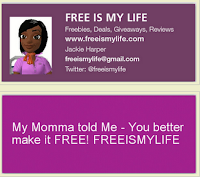 Giveaway ends Friday, October 21, 2016 at NOON EST. 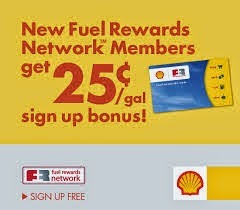 ENTER NOW!!! 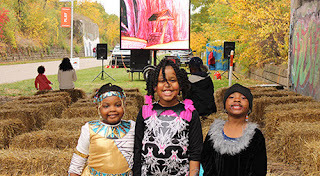 Celebrate fall along the beautiful Dequindre Cut at the 2nd Annual HarvestFest Detroit, a FREE day of family fun, hosted by the Detroit RiverFront Conservancy in conjunction with Park Solutions and sponsored by Electrical Workers Union, IBEW Local 58 and NECA of Southeastern Mich. Parking is available in the Eastern Market area, including in the lots at Wilkins and Orleans or designated street parking. 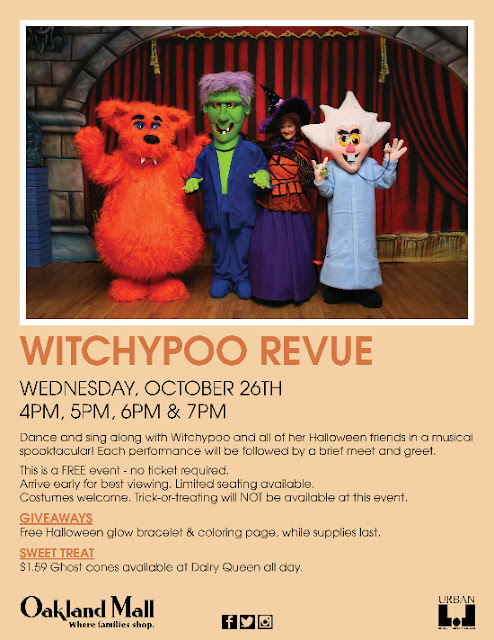 Witchypoo and her Halloween friends will be at Oakland Mall on October 26th to entertain you for a day of fun. No tickets are required, but early arrival is recommended for best seating and giveaway availability. Pounds of Snickers, Milky Way, Hershey, and Twix bars will be handed out to brave little goblins and ghouls visiting University of Detroit Mercy for the 27th annual Safety Street. 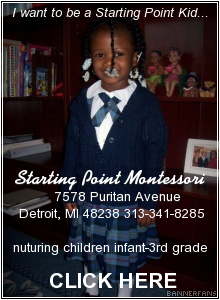 More than 400 neighborhood children from Kindergarten through 5th grade will attend this fun and safe “trick or treating” environment this year, dressed in their favorite costumes. Students in Halloween attire will distribute candy to the children and also offer free face painting during the event. Discover special stations and displays full of hands-on activities, live animals, and more! 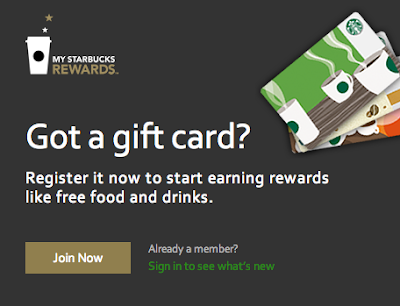 The party is FREE—no reservations or tickets necessary. The party is suitable for all ages. Don’t forget to bring your goody bag! One of the spookiest days of the year is back! From 10 a.m. to 4 p.m., children aged 12 and younger can trick-or-treat in the Streets of Old Detroit, enjoy free refreshments and make a Halloween craft to take home. 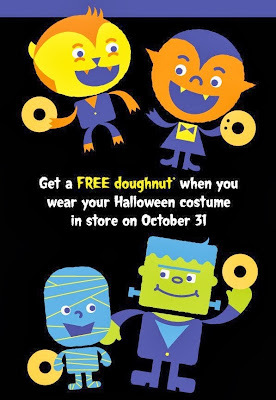 Come in in your costume and get one free doughnut of your choice (including the Zombie doughnuts) at any participating Krispy Kreme locations.